Professor Durik has been studying interest and engagement in achievement tasks for 20 years. Task interest is inherently interdisciplinary and her research has examined how social, situational, cognitive and developmental factors play into task experience and achievement. She studied social and personality psychology as part of the University of Wisconsin-Madison and earned her Ph.D., having conducted research on achievement goals, and task features and values that contribute to task interest. She completed postdoctoral research at the University of Michigan's Gender and Achievement Research Program, where she examined longitudinal correlates of children's development of interest and achievement across elementary, middle, and high school. Durik joined the faculty at NIU in 2005, and has been teaching, conducting research, and mentoring students ever since. 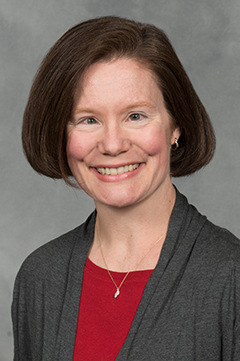 She has been awarded numerous external grants, earned an Excellence in Undergraduate Teaching Award and continues to serve as director of undergraduate studies for the psychology department.